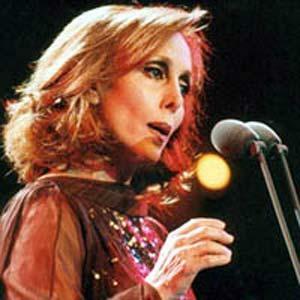 Fairuz to be banned from singing in Lebanon? MIND SOUP: News of Fairuz, the famous Lebanese legend, being banned from singing in Lebanese territory has emerged to the news scene recently, and it has been discussed on several sites and blogs. As the usual hype surrounding celebrities is filing the place, it seems that many fans of Fairuz are angry and disappointed about such news, and instinctively taking her side. However, what they don't know or don't care about is that Fairuz is violating Lebanese law by signing songs from plays that are copyrighted, without sharing the profits with the rightful owners. The Rahbani sons have launched a lawsuit against Nohad Haddad (Fairuz) because she is unwilling to share the profits of her concerts (that she sings copyrighted songs from plays) with the copyright holders. In a press release issued by the Rahbani sons on Wednesday, they claimed that Fairuz is trying to "delete the Rahbani brothers (Mansour and Assi) from the music scene." The brothers denied the circulating rumors that they aim to stop Fairuz from singing in Lebanon, saying that "this issue is not correct, especially that Mansour never denied Fairuz from performing any of the common works of the Rahbani brothers." They made it clear that they only want their shares as rightful descendents of the late Rahbani, which is ensured by the Lebanese law number 75/1999 section 6. They added that according to this law, Casino Liban did not agree to hosting any Rahbani play without a prior written agreement from the producers of this common work. 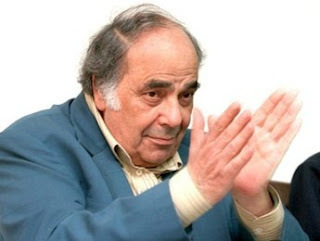 This is the basis of the conflict between Fairuz and the Rahbani sons, especially after Fairuz performed the play "Sah el-Nawm" in Damascus and Sharjah without the approval of Mansour. According to above, Fairuz is not technically banned from singing in Lebanon, but she does not have the right to perform mutual works in Lebanon before the lawsuit is settled. The law here is in the favor of the unpopular co-owners of intellectual property of the plays, and it might be a good thing that the law is on the side of people who do not have power. Fairuz should not be greedy, because first of all, that would save her a lot of trouble, and second, it would damage her image as a prestigious icon. It isn't about Fairuz being greedy or anything, this matter is quite ridiculous since the Rahbany brothers have performed many of the plays created by the Rahbany brothers and didn't bother to pay Fairuz, i name for instance the very bad , and excruciatingly painful remake of Sayf 840. It was performed over a long period of time and there was plans to tour with it. If they can use their father's old plays, why shouldnt Fairuz be able to take work from her husband and perform them without bothering to ask the Rahbanys for permission. They called Fairuz a simple performer, but she isn't. The problem is that people under-estimate Fairuz's creative input in the creation process, even she denies, but watch closely the documentary about Assi, he even talks about how Fairuz used to participate in the process of creating the songs. Weird enough Fairuz herself says Assi used to "y7afeza yehoun". Watch the las vegas documentary, and watch her how she rehearses, she listens to every singer, corrects, changes the notes and just makes the song sound exactly the way she wants it. She is even harsher than Assi if it's possible, an just as demanding. So basically, if you want to be totally objective, then Fairuz should probably pay for some rights, but so does the Rahbanys. They should also pay up. And, also being more objective, the Rahbany's latest work have been truly bad. SAyf 840 was painful to watch, whatever their during with musicals is just passe and totally irrelevant, id much rather watch fairuz plays and listen to her new album that was supposed to come out, but didnt because of this entire issue. In conclusion, it's not about Fairuz being greedy, it's simply what the public wants. We couldnt care less for Rahbany plays and we'd rather have Fairuz. At least for my part to put it simply. So Fairuz gets my vote in this matter. Even if she's wrong, I want her new album and i'd rather it's the Rahbanys who get banned and stop doing plays, they'd do a favor to themselves and to us. ktir charcha7o 7aloun with their latest productions. it's time to re-think their whole creative process/line whatever it is and their actors who couldnt care less about acting and just make fools out of themselves. As an audience,i was very offended with their lack of interest in what they were doing on stage. it's not right. Valet Parking for a hospital? Eggs came after chickens... and that's a fact!